Having a stucco finish applied to your home costs about the same as installing high-end vinyl siding, but stucco is extremely durable. There’s a reason stucco is such a long-lived siding product for homes- it’s hard to beat! Stucco is termite- and rot-proof, fire resistant, and is even hard to damage through impact. Due to its time-honored role as a building material and the versatility of the product, stucco gives your home a classic, elegant look. We can even help you accentuate your home by adding trim or an acrylic finish. If you would like to learn more about our Kansas City stucco installation services, contact Bordner today and set up a free consultation to see if your home is a good candidate for this product. According to the U.S. Green Building Council, over 20,000 homes across the U.S. have earned LEED for Homes certification. The Editor at Large reports that the focus on green home design continues to grow in all segments of the housing industry, from single family homes to multi-family housing. While most homeowners don’t take the time and expense to earn LEED certification, there is still a pronounced demand from homeowners for green home design, from sustainably-sourced materials to non-toxic finishes. However, the green building issue on most people’s minds is undoubtedly energy efficiency. Energy efficient homes are not just better for the environment- they can also save the homeowner a lot of money! If you are looking for ways to make your Kansas City home more energy efficient, Bordner can help. We carry a wide selection of energy efficient replacement doors and windows to fit any home. We carry both vinyl and fiberglass windows and doors, and our knowledgeable staff can provide you with all of the information you need to make the right choice for your home. If you’d like to set up a free window consultation with us today, just call us at 816.303.0510 or use the contact form at left. When you own a home, it’s important to stay up to date on the necessary maintenance and repairs. If you need some help, MSN Real Estate has a handy August Home Maintenance Checklist you may want to check out. One recommendation on the list is to remove pest magnets- objects leaning against or piled next to the sides of your home that can harbor rodents, spiders, mice, and insects. The article recommends simply walking around your house to make sure nothing is piled against it, removing objects like ladders, tools, and firewood as you go. If you do have “pest magnet” items near your house, beware; in addition to the other unwanted guests they invite, you could even be welcoming wood-boring insects to feast on your home. If you notice damage or excessive wear and tear on your siding while surveying the perimeter of your house, don’t hesitate to call us! Our Kansas City home improvement company can help you with fiber cement siding and vinyl siding. Contact Bordner to set up a free siding consultation today, and let us provide you with the high quality siding installation your home needs. Choosing the right windows and doors for your Kansas City home is important, but there is much more to the process than that. No matter what type of replacement doors or windows you’ve chosen, it’s also important to choose the right team to install them. Our Kansas City replacement window and door company knows that the installation job is just as important as the windows themselves. No matter how high quality your doors and windows are, if they are installed improperly, there will still be problems. That’s why we keep skilled door and window installers on staff, so our crews can give you the fantastic service you deserve, ensuring that your high-quality replacement windows and doors perform well for years to come. To learn more about our product offerings and Kansas City home improvement services, visit Bordner and check out our door and window options. When was the last time your roof was inspected? Ignoring problems with your roof will not only further damage it, but can also open your home up to a range of other problems, from water damage to mold. Keeping your roof in perfect working order is very important, and at Bordner, our skilled roofing service team helps you do just that. From fixing and replacing shingles to repairing roof fixtures like window pans, plumbing vents, and chimney flashing, we do it all. We repair both steep slope and low slope roofs, as well as flat roofs. Not only is our team experienced in roof repair, but we also back up our work with our Satisfaction Guarantee. If you’re looking or a Kansas City roofing company, contact us today to set up your free analysis and roof repair estimate. 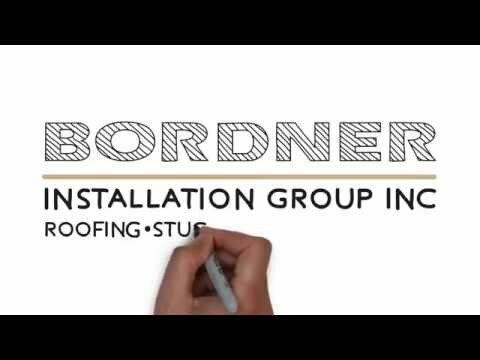 To learn more about our other home improvement services, visit Bordner. Can Green Home Improvements Raise Home Value? Green home design and energy efficiency have been on the forefront of the home improvement industry for a while now, but according to a recent study, green home design may have a definitive economic value for your home. Building Online reports that researchers from University of California’s Berkeley and Los Angeles campuses have found a connection between “green labels”- like LEED, Energy Star, and GreenPoint certification- and increased home values. The study found that for single-family homes in California, a green home label adds on average 9 percent to the price. Homes with these labels sell for an average of $34,800 higher than comparable homes which lack the green label. While the study was conducted only on California homes, it’s not unlikely that further research will reveal similar correlations in other markets. Another finding from the study was that home buyers were willing to pay more for green label homes in hotter climates, which makes sense considering the lower energy costs required to keep the home cool. It’s clear that the practical benefits of green homes, namely lower operating costs, are catching on with many home owners. If you are interested in green home improvements for your Kansas City home, contact Bordner. We’d be glad to discuss your options for energy-efficient windows, doors, and roofing, so set up a free consultation today. Hail Damage? Don’t Worry, We Can Help! If your home has been damaged by hail, you will need to find a company that will not only repair the hail damage, but also help you prevent future damage. That’s where Bordner can help with our roofing repair and replacement services. Since hail damage doesn’t necessitate immediate action (unless you’ve had a major roof breach), it’s important to take your time to find a company that will complete the work with the utmost quality and customer service. Your homeowner’s insurance probably covers hail damage, but choosing a reputable Kansas City roofing company will help make sure you get insurance coverage for your repairs. Call us today to schedule a free roofing analysis on your Kansas City home, and visit our hail damage repair page to learn more about choosing the right roofing contractor for your home repair project. To set up your appointment, call us at 816.303.0522. At Bordner, we have been helping Kansas City homeowners bring the best out of their homes for over 20 years. This city has given us so much, so we feel that it is very important to give back. Recently, we were privileged to work with the Make-A-Wish Foundation and some great local partners to help make a little boy’s dream come true. Bordner Roofing worked in conjunction with concrete, decking, landscaping, and many other types of home improvement companies to create an amazing tree house for little Lucas, who is battling cancer. The two-story tree house includes a rock wall, rope bridge, fireman’s pole, and other fun features for Lucas and his siblings to enjoy for years to come. Visit Kansas City Channel 4 News to see a video of the big reveal and read more. If you’d like to help make a child’s dream come true, visit the Make-A-Wish Foundation! You’re probably familiar with the use of cultured stone as an exterior product for accenting the home. But did you know that there are many more uses of this versatile material? Cultured stone and stone veneer products are much lighter than conventional stone masonry, making them perfectly suited for a range of uses. Take a look at 3 unique uses for cultured stone and let us know what you think in the comments. Fireplaces– While your home may not be built to support full stone, stone veneer can give you the same look with less cost and debris. Outdoor rooms– Give your outdoor living area a distinctive, elegant look by using stone veneer on the bar, arches, garden benches, etc. Wine cellar– If you are a wine aficionado, consider giving your bottles the home they deserve by creating a wine cellar. Cultured stone adds an authentic feel that looks great and is sure to impress your guests. If you are interested in our cultured stone and stone veneer installation services for your Kansas City home, contact us today. Call Bordner at 816.303.0522 for a free stone installation consultation. According to Bloomberg, construction spending is increasing in the United States thanks to an improving housing market. Commerce Department figures indicate a climb in dollar value for projects, with April beating out any month since December 2009. That spells good news, not only for home construction, but also for home repair companies. According to one home improvement company executive, industry insiders anticipate a “pent-up demand,” for home improvement projects from homeowners who have put them off due to hard economic times. It’s a situation that is familiar to many homeowners around the country. If you have been putting off an important home repair project, just remember that you are risking the integrity of one of your biggest assets. Routine home maintenance is so important to keeping your Kansas City home looking and performing its best, and at Bordner, we can help. Contact our Kansas City home repair company today to learn more about our roofing, siding, stucco, and door and window services.